Ayaan Hirsi Ali is a heroine to human rights supporters worldwide for her repudiation of Shariah doctrines. She is founder of the leading organization opposing Shariah’s oppression of women, the AHA Foundation (http://theahafoundation.org/ ). The AHA Foundation provides resources to activists and service referrals to women on the problems of Shariah law, forced marriages, female genital mutilation, and honor killings. They provide an important list of pending legislation on Shariah and women here: http://theahafoundation.org/get-involved/legislative-outreach/ . You can support their invaluable work here. 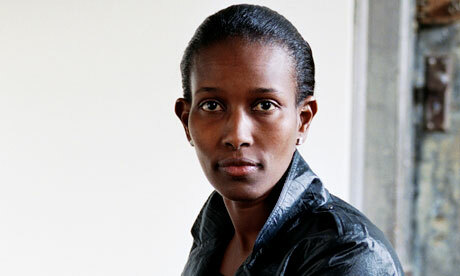 Ayaan Hirsi Ali, an outspoken defender of women’s rights in Islamic societies, was born in Mogadishu, Somalia. She escaped an arranged marriage by immigrating to the Netherlands in 1992 and served as a member of the Dutch parliament from 2003 to 2006. In parliament, she worked on furthering the integration of non-Western immigrants into Dutch society and defending the rights of women in Dutch Muslim society. In 2004, together with director Theo van Gogh, she made Submission, a film about the oppression of women in conservative Islamic cultures. The airing of the film on Dutch television resulted in the assassination of Mr. van Gogh by an Islamic extremist. At AEI, Ms. Hirsi Ali researches the relationship between the West and Islam, women’s rights in Islam, violence against women propagated by religious and cultural arguments, and Islam in Europe. She is the author of The Caged Virgin: A Muslim Woman’s Cry for Reason , Infidel: My Life , and Nomad: From Islam to America: A Personal Journey Through the Clash of Civilizations .